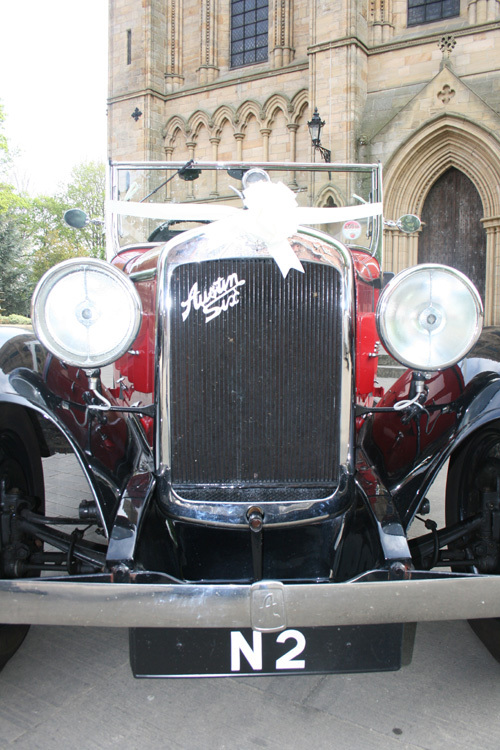 Your wedding car will come with chauffeur, ribbons and silk flowers. All cars carry umbrellas in case of wet weather on the day.. 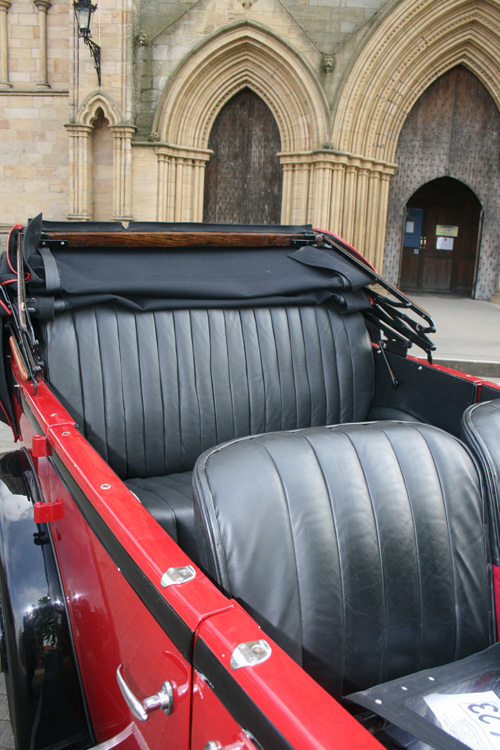 The fleet includes Rolls Royce, Bentley, Jaguar, Austin and Chrysler, in a variety of different colours. 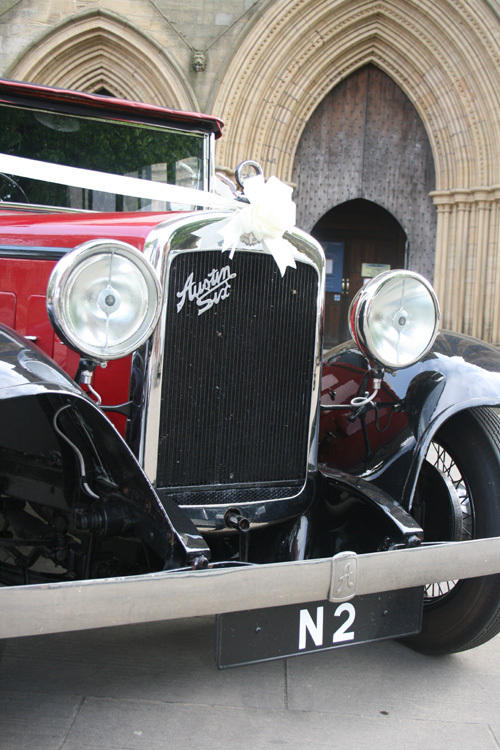 K Snowden Wedding Cars offer you a friendly, personal service for your special day. 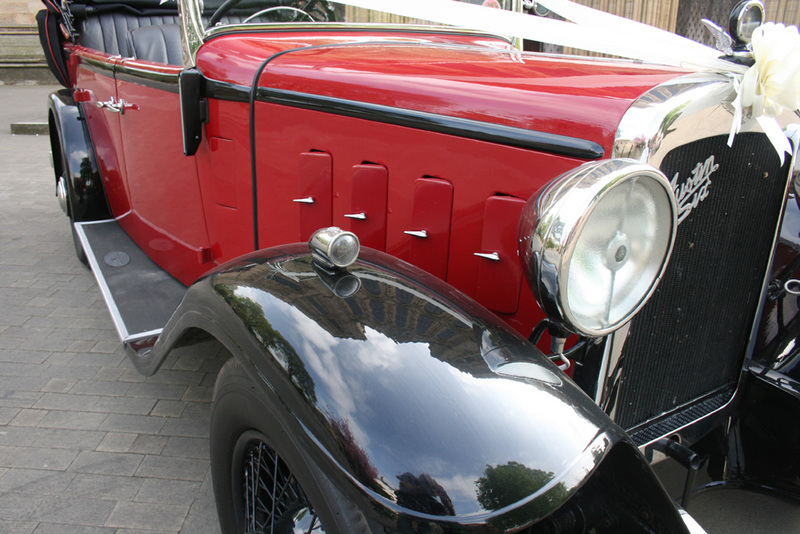 We respect that today some couples want a different format, but traditionally we arrive at the bride's house, and will let you know that the car is ready. 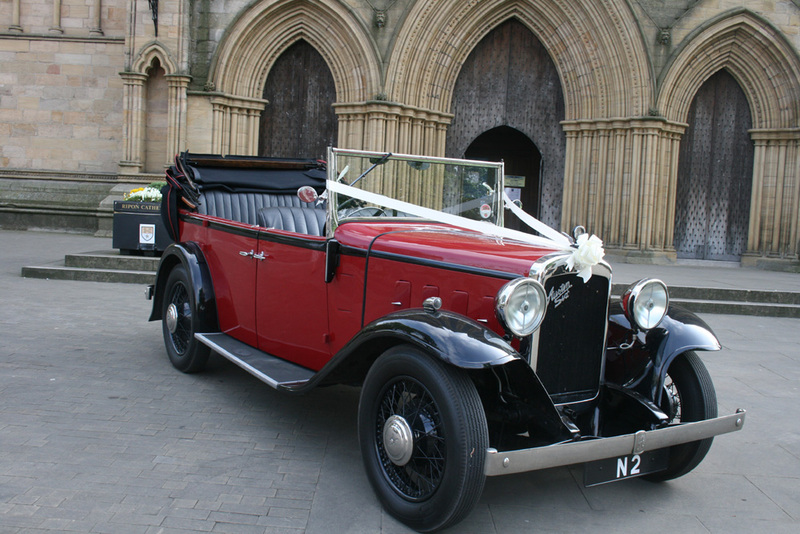 We will then transport you in style to your ceremony and the car will be parked outside waiting you to come out of the ceremony. 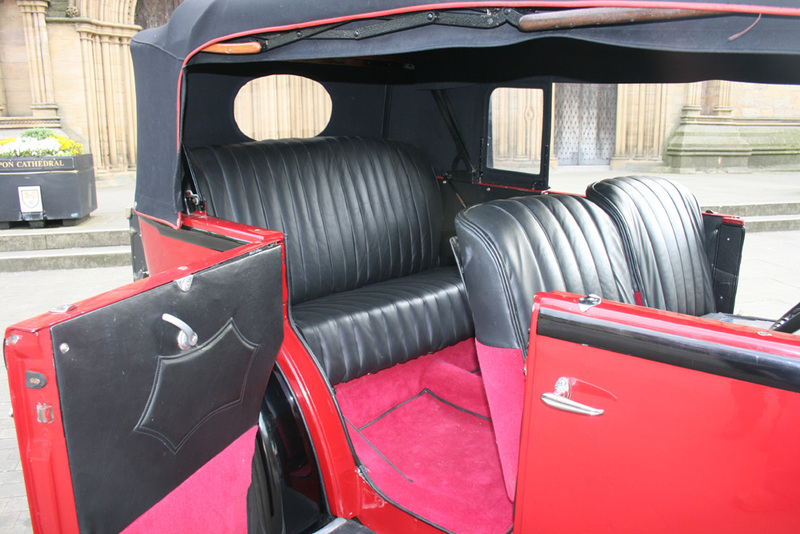 4-seater with Black and Wine Coachwork, Black leather interior, cherry red carpeting, fully convertible roof which can be up or down according to preference and climate. 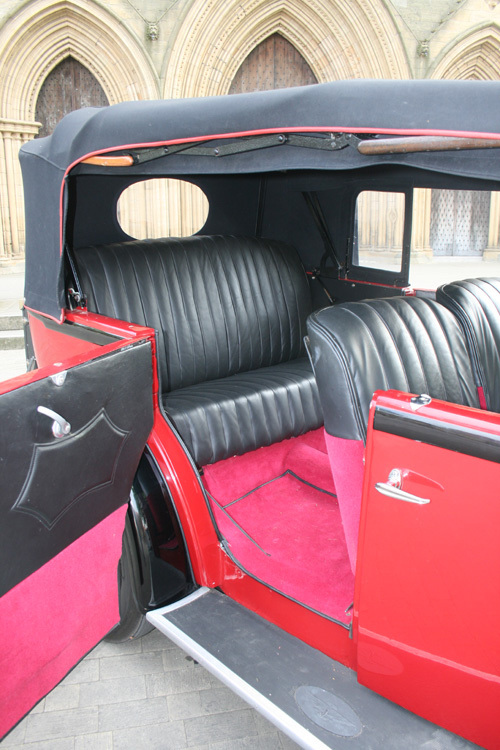 This beautiful car can be used on its own or in conjunction with our other cars in the same colour Coachwork. 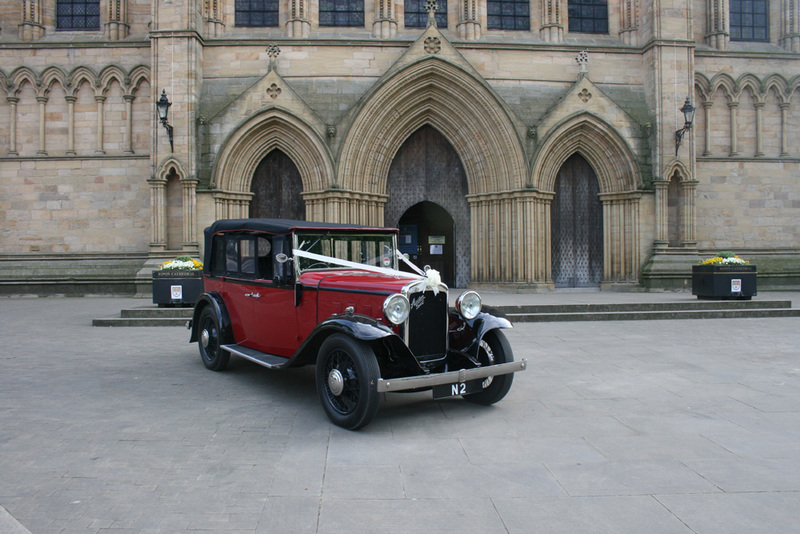 Shown here being used as a wedding car outside Ripon Cathedral in North Yorkshire.